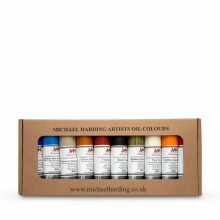 Michael Harding Handmade Artists' Oil Colours are on the leading oil paint brands available in the world today. In 1982 fine art student Michael Harding decided to embark on a quest to produce oil paint that replicated the recipes used by the Old Masters. Today these paints are used by the greatest living painters. David Hockney once said that Michael Harding produced "the first quality oil paint, excellent!" 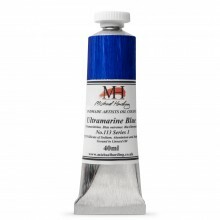 Howard Hodgkin proclaimed them to be "the best oil paints in the world today". The paints are formulated to the highest possible standards, reintroducing to the market a range of paints with colour intensity that artists would have experiences of prior to the 1840s.